You know, I'm a big fan of free and open software. And the FSF is a great organization, that helps free software so much. But sometimes, I have to strongly disagree with them. And this is the case with an unbelievable email I got today. Did you know that, like you, nearly 50% of the 40,000 subscribers to the FSF's supporter mailing list have an @gmail.com email address? 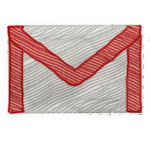 Because of the incredibly high percentage of Gmail-using free software supporters, we're taking action to raise awareness about how to use Gmail without using proprietary software. We'll also be working on longer term solutions, but the most immediate positive step to take is to stop running the proprietary programs. Many people suggest that you shouldn't use Gmail at all, because it means losing control over your data and privacy. We agree that this is a very important factor for you to consider when choosing how you will handle your email.